Other Eyes Wise are one of those distinctly interesting bands who try to combine everything and everything, but do it in a way that has not quite been touched on before. 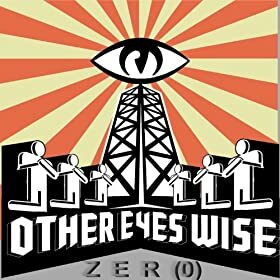 Reminiscent of a million bands at once, Other Eyes Wise are bringing together some pretty interesting ideas. Now while some of the execution could be ameliorated conceptually this is a promising release. Other Eyes Wise reflect humanity in a bizarre way, using extremes, from both ends of the spectrum to achieve a record that is diverse and engaging, heavy metal for those who look beyond. Here's the thing though, I feel like a lot of the frills of the Other Eyes Wise sound need to be touched up and improved on. The production seems a bit too loose in places and it takes away from the overall effect of the sound. At the same time, this very confusion adds a certain layer of harsh realism to tracks like Climb Above. As you get deeper into the record I feel like you start to get at some sort of deeper truth, an answer that is given to you to decipher. Through the distortion and confusion their lies something fundamental, something more. This ultimately shows that the understanding and triumph communicated by the musicians, masterminds behind a beautiful sound. This is the kind of 'out there' progressive metal act who will triumph in the twenty first century. Calling to mind groups like Mastodon and Tool, Other Eyes Wise is nevertheless distinctly different from any of their peers. The sound here is both simplistic but strangely layered and getting fully into this album will require more than a few spins. The ideas certainly are interesting though and I think with a little more evolution on the production end of things and tightening of some of the looser sections this group could truly be a force to be reckoned with.